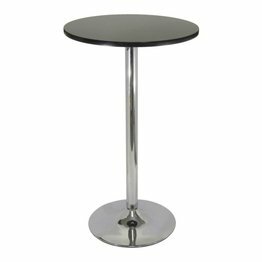 New Spectrum Pub Table is designed to match the airlift stools in this line. The table top is made of sturdy MDF material and is 24" in diameter. The base is chrome. The 40" height is perfect for entertaining and casual dining. Ships ready to assemble with tools and hardware.